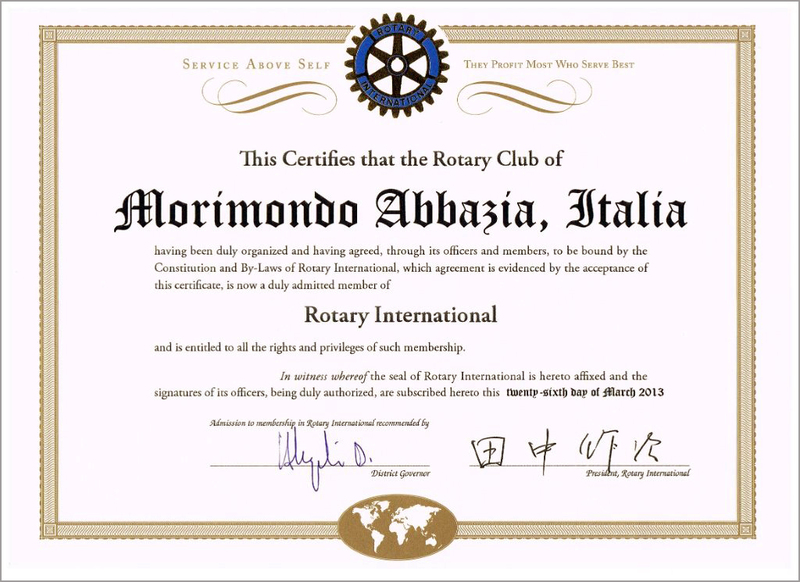 Morimondo Abbazia Rotary Club was founded on the 26th of May 2013 as can be seen in our Charter Certificate. 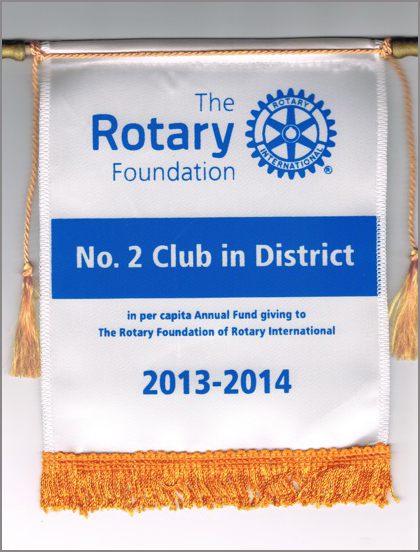 Our Club has been assigned the number 84989 from Rotary International. Today the number of members is 29. Our Club meets for dinner on Wednesdays starting at 08.00 pm at Trattoria San Bernardo, Piazzale dell’Abbazia – 20081 Morimondo (MI). 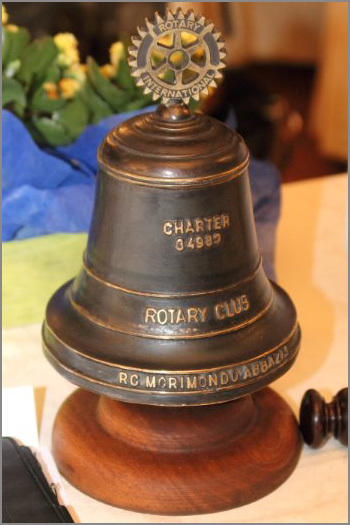 Visiting Rotarians are warmly welcomed to attend these meetings. 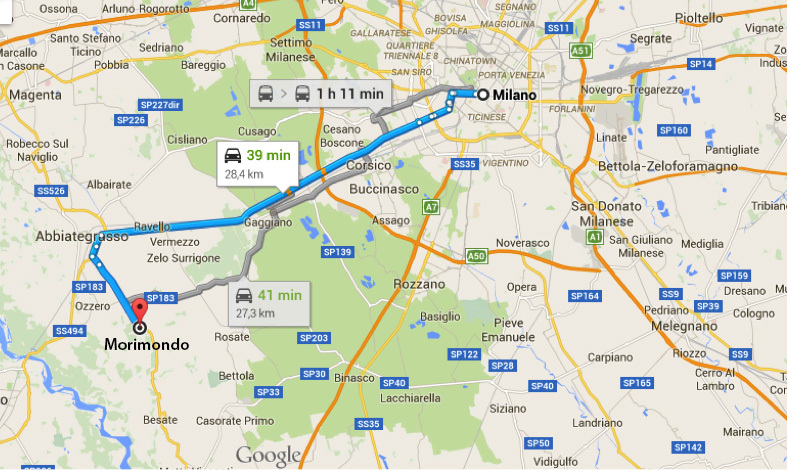 Morimondo is a small town around 30 Km away from Milan. The most popular touristic attraction of Morimondo is its famous Cisternian Abbey. It was founded in the 12th century (1136) by the Cistercians coming from the French Monastery of Morimond. After having moved to Lombardy, they maintained the name of their mother-Abbey (from the word “mora” in latin = swamp). The basilica, built after the construction of the Monastery (from 1182), is today the most interesting monument for visitors travelling to Morimondo. It reflects the design of Cisternian churches wanted by S. Bernardus: grandiose and solemn, in contrast with the austerity and poverty of the life of monks, whose merit was to drain and improve the agricultural territories. 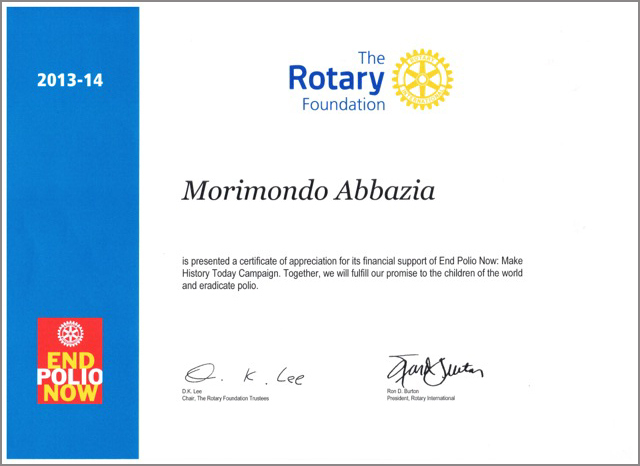 After only 18 months from its foundation Morimondo Abbazia Rotary Club has already obtained two important recognitions from the Rotary Foundation. One for the support to the campaign “End Polio Now” and the other for “Per Capita Annual Fund Giving”. President – Bruno Bocconi (bocconi.rcmorimondoabbazia@gmail.com). Secretary – Mariangela Donà (donamariangela@gmail.com). Sergeant-at-arms – Monica Speroni (monicasperoni62@gmail.com).